We may not have chickens or bunnies yet, but dangit, we will have worms! Our worm factory arrived yesterday, and the worms themselves should be here in a few days. I admit I feel a bit of trepidation, and I am starting to realize this may be a tad more of a commitment than I had originally thought. Only a tad, though. I know that once we get going, our worms are going to be just another part of our day. But there are some things I didn't think about; I am mostly afraid of flies, stink, and of worms escaping. All issues which are--I'm assured of over and over in my research--completely preventable. There is no shortage of worm information out there, and it's nice knowing that many other people have a worm bin inside their homes. Despite any misgivings, my excitement has grown right along with the kids. I'm looking forward to the rich, nutrient-dense vermicompost we are going to get from this little operation. 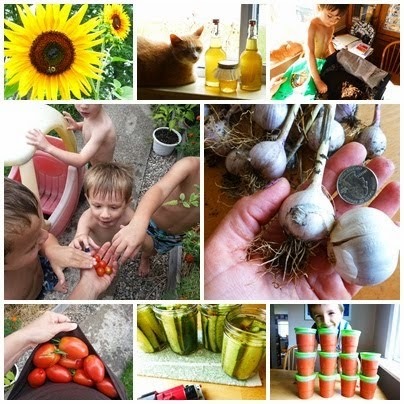 We may not get a lot for this summer's garden, but this coming fall's cool-season crops are going to be very happy; and from then on out, we should be getting a continuous supply of that magical, plant loving worm poop. Wet paper covering the bed, which has a little food buried in the corner. Come on home, worms, we are ready for you! Should be coming in the mail ANY day! We've been discussing the worms for weeks, even before I ordered the worm bin. I've been including the kids in each step, so that when the worms get here, they will already feel involved and connected to our new project. Here are 3 ways we've been getting ready! 1. Paper Shredding Parties. Okay, there were no balloons or cake. But every few days, the kids and I would have our little party; we would march into my room, where the paper shredder resides, and shred newspaper or junk mail. Trust me, it's not very difficult to get kids excited about using a paper shredder. Each time we 'partied', we talked about how this was going to be so wonderful for our worms, and provide a nice cozy bed for them. 2. Talking Trash: In my research I've been able to gather that worms do not like citrus of any kind, onions, meat, dairy, or grass clippings. As we toss our peels and veggie scraps into the compost bin, we talk about what the worms will and will not like. They do love almost all veggie and fruit scraps, coffee grinds, and breads. I always get a laugh when I repeat that apparently worms like pasta, pizza crust, and stale bread. We have talked about how paper is one type of carbon, and that other types we can add to the bin are peanut shells, dry leaves, paper egg cartons. 3. Reading. Two books in particular have been really wonderful to share with the kids. 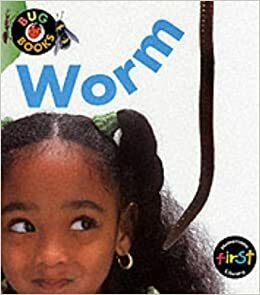 They have great pictures, and fascinating facts about worms; like the incredible way worms pull food and leaves down into their holes, how they are born, and where they go in the winter (think deep). This link from goodreads has lots of other books that I plan to get from the library in the following weeks and months. 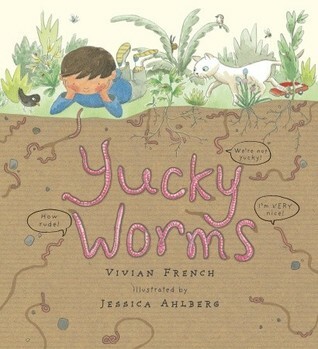 We've always loved worms around here, and talking about them and learning new things about them has only heightened our anticipation to have a bin filled with them, right inside the house. How exciting! I love worms :) Should be lots of fun for you guys and a great learning experience for the kids!